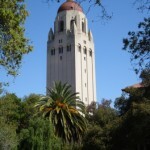 A quick glance at Stanford Graduate School of Business: currently ties in first place (with Harvard Business School) as the best business schools, according to US News & World Report (March 2012). It was ranked #2 for management. 6618 people applied to Stanford GSB in 2011; 7% were admitted and approximately 400 are currently in the class of 2013. Previous industry experience: 17% entered Stanford with consulting experience; an equal percentage come from private equity/venture capital. 12% had worked in financial services. GSBGEN 569. Online Financial Training for Managers and Entrepreneurs in Developing Economies, 2 Units. Students may also pursue a Certificate in Public Management and Social Innovation. To receive this certificate, students must take 16 units of PMP electives, 8 of which must be at the GSB. There are also Program Practicums, study trips, and experiential learning opportunities for PMP students. See the Public Management Program page for more details. 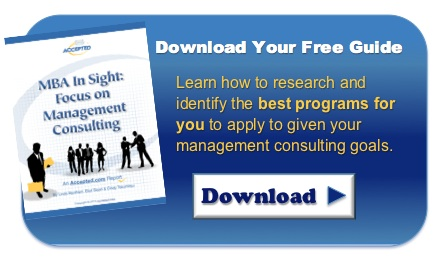 8% of the class of 2011 graduates secured jobs with a general management function, 25% went into management consulting. For internships, 7% of class of 2012 students obtained general management positions and 12% interned with management consulting firms. .
Last updated on July 1, 2013.